Cut the meat off the ham bone. Eat a little while you cut it off (optional). Freeze that ham meat, you won’t need it for this dish. There should still be plenty of meat on the bone. Dice up the onion and throw it in your pot with the rinsed dried beans and the ham bone. Fill up your Instant Pot with water to the 5-liter line in the 8 qt., or the 3 to 3.5-Liter line in a 6qt., or Pressure Cook MAX line. Set pressure cooker on <Manual> or <Pressure Cook> for 30 minutes. Natural Pressure Release (NPR) for at least 10 minutes before releasing the remaining steam. This is an important step in making sure your beans are cooked. NPR time is cook time. If you do a Quick Release as soon as your timer goes off, your beans won’t be done! Remove ham bone to a plate or cutting board. Pick the meat off the bone and remove the fat, gristle, etc. Return the meat to the pot. Salt to taste after cooking. Usually our ham bone adds enough saltiness that I hesitate to add salt before we are at the table. Different ham bones are a huge variable in the salt factor. If you feel your beans need salt, add it! Additionally, acidic ingredients can also slow down the cooking of beans. Cured meats, including ham, are acidic, so the beans may take longer to cook. Remember: The amount of time naturally releasing the pressure of the pot is time that the beans are still cooking, so don’t release pressure for at least 10 minutes after the programmed cooking time. Also, I have often released the pressure on a pot of beans and then opened it up to find some crunchy beans on top, only to find the ones underneath are actually soft and done to my liking after stirring. This is because those beans on top are not fully submerged in water during cooking. So when testing for doneness, stir the entire pot well before tasting. In the end, it also comes down to your personal preference. Some people like their beans more “al dente,” while others may prefer soft and mushy. My advice then would be to start at 30 minutes as a minimum, but maybe add more time under pressure or allow a full natural release of pressure if your beans are large, old, or you know you like your beans more done. Note: I made this in the 8 qt Instant Pot. If you have a 6 qt, you may want to just do one pound of beans and fill to the 10 cup line close to 4-liter line. The wonderful thing about this recipe is that you can change this soup to your liking! Try using other types of beans, such as black, pinto, navy, or red. If you want a more complex flavor, you can add aromatic vegetables like diced celery, bell peppers, carrots, and/or garlic. Other seasonings we have enjoyed in our beans are bay leaves, oregano, or thyme. But these are totally optional, it’s delicious on its own! 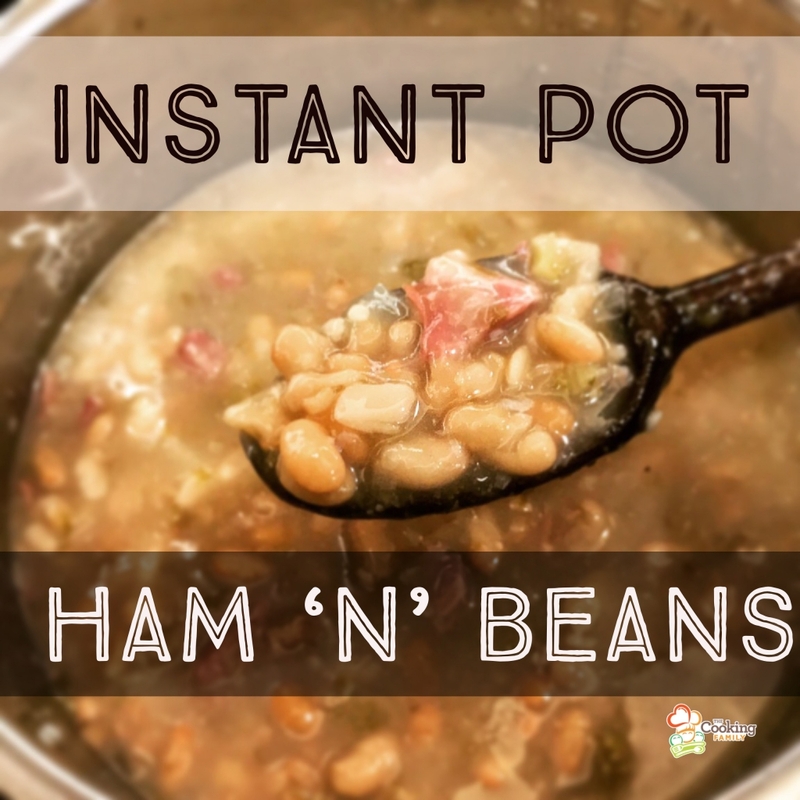 This Ham and Beans dish really hits the spot right away, served with hot cornbread, and it’s even better as leftovers! celery you use seems like a good addition, I’ll try that. Let you know how it turns out. I’m really new to IP. So glad to hear you’re trying this recipe! Sounds like a great game day meal–we love cornbread with this soup! As far as adding the brown sugar at the end, try quick releasing the pressure after 25 minutes and then open up the pot, add the brown sugar and let it come back up to pressure for a few minutes before allowing it to Natural Release for at least 10-15 minutes. We would love to hear how it all turns out! I needed to cook the beans 35 minutes. Thanks so much for your feedback and for making our recipe! I’m updating the recipe post to reflect some of the variables in cooking time for beans. Just made this in a 6 Qt IP, 1) 25 mins w/10 mins before releasing the pressure is not enough time. I had to restart it and go another 25 mins and released pressure immediately and it was perfect. 2) it needs salt. Im not one to salt much of anything but this needs it. I added a teaspoon maybe a little more and it was great. 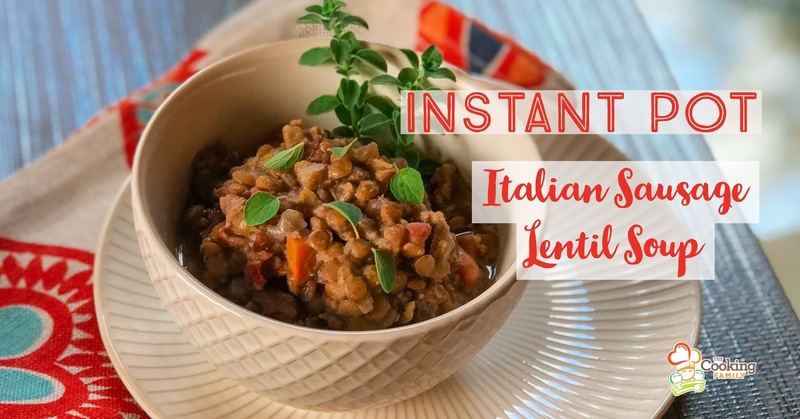 Thanks for the easy quick recipe as opposed to all day in the crock pot. I’m so glad you tried our recipe! We also love that it’s simple to make! Thanks so much for your feedback, I’m using it to revise the above recipe post. For information purposes, can I ask what type of beans you used? What is your altitude? How old are your beans? When determining cook time for beans, these are some of the variables that can be at play. Additionally, acidic ingredients can also slow down the cooking of beans. Cured meats, including ham, are acidic, so the beans may take longer to cook. The amount of time naturally releasing the pressure of the pot is time that is still actually cooking the beans. Also, I have released the pressure on a pot of beans and then opened it up to find some crunchy beans on top and then stir the pot and the ones underneath are actually soft and done to my liking. In the end, it also comes down to your personal preference. Some people like their beans more “al dente”, while others may prefer soft and mushy. My advice then would be to start at 25 minutes as a minimum, but maybe add more time if your beans are large, old, or you know you like your beans more done. What happens if I don’t have the bone anymore? Do I need to substitute anything other than adding salt? 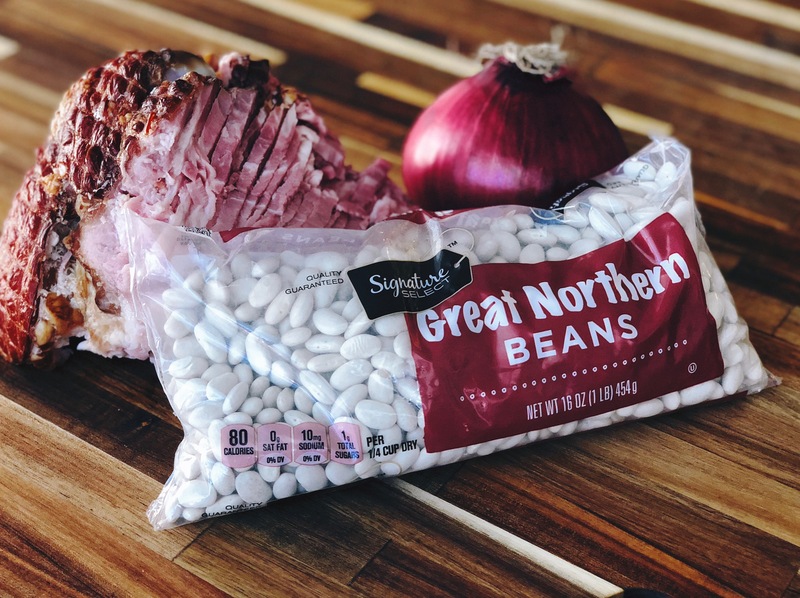 Hi Lindsey, If you’re just cooking a pot of beans, you will want to season with an onion and 1 TBS of oil to keep the foaming down. You’ll definitely want some salt, maybe start with 1 tsp per pound of beans. Add more after cooking if needed. Did you soak the beans first or just rinse? Hi Carrie, we only rinsed our beans. No need to soak! You can if you desire, but you would want to shorten the cook time to about 15-20 minutes. Hi John, sorry I missed this! High Pressure is the way to go with beans. Hi Melody, thanks for joining us! If you’ll look at the bottom of every post, before the comments, there’s a little icon of a printer. Click on that, and then you can select which parts of the recipe you want to print! If you want to get rid of the fluff, just click the little trash can icon that appears when you hover over that section. I love the way you explain the recipe. I just received an Insta-Pot and love it and I’m always looking for ways to cook things in it. I’m retired and want to spend more time doing other things that stand and cook all day 🙂 Thank you! Can you just cut up leftover ham and put it in there if you don’t have the ham bone anymore? Absolutely, Debbie! Your leftover ham will give the beans plenty of flavor as well. 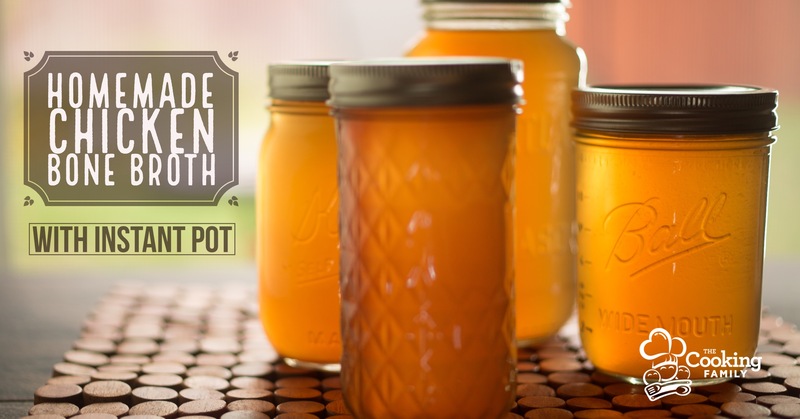 If you want to boost the flavor and nutrients, you could add any type of broth that you might have on hand. Other easy additions to increase the flavor are bay leaves, garlic powder, and celery, in addition to the onion. Thanks for reading, and Happy Cooking! !